Nearly a fifth of England’s primary school population is made up of children who have English as an Additional Language (EAL) – children with a home language that isn’t English, yet who are being educated in England through the medium of the English language. At ReadOxford, we are often asked about EAL. We asked Oxford’s Professor Victoria Murphy, an expert in EAL, to tell us more. Children with EAL in England are highly diverse linguistically, representing over 360 different home languages. These children have all the ‘ingredients’ in place to become bilingual, and bilingualism brings with it many advantages including community-based, socio-political and cognitive benefits. The cognitive advantages of bilingualism is an area currently under intense scrutiny in the research world, but one area that is relatively uncontested is the finding that children who are bilingual tend to have more heightened metalinguistic awareness – an awareness of the system of language. Metalinguistic awareness is relevant to different levels of linguistic knowledge ranging from enhanced skills in understanding the sound patterns of the language (phonological awareness), how words are put together (morphological awareness) and grammatical ability (syntactic awareness). 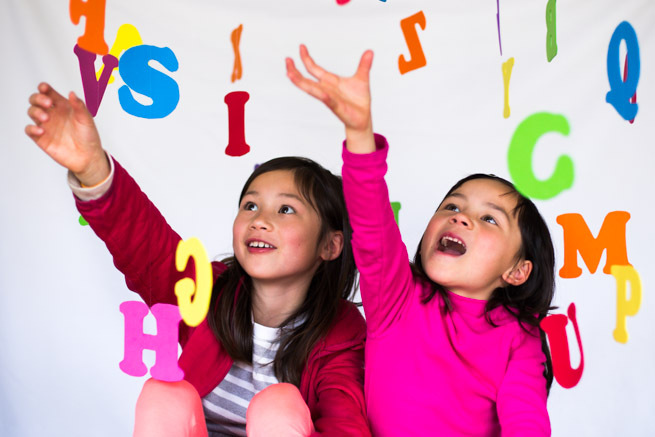 Bilingual children typically have enhanced phonological awareness, and in terms of reading this can be a big advantage since much research has shown that phonological awareness is a strong predictor of reading skill. It isn’t surprising then to learn that children with EAL tend to be good readers when it comes to single word reading accuracy. In fact, many studies have shown that children with EAL are as good as native-speakers of English and indeed are often better at these decoding elements of reading skill. Despite these potential advantages, and their strong single word reading skill, many children with EAL end up under-performing academically relative to children who speak English as a first language. For example, international studies of student achievement have shown that children from ethnic minority backgrounds tend to underperform on reading and mathematics relative to children without an immigrant background, and they tend to be over-represented in remedial support programmes at school. In England, a recent analysis of the National Pupil Database by Strand and colleagues found that children with EAL in the early years foundation stage (birth to 5 years) are 33% less likely to be rated as having a ‘good’ level of development relative to native speaking children. This gap in achievement narrows in subsequent stages of assessment such that by the time children are completing their GCSEs at age 16, EAL pupils not only are matched with non-EAL pupils but actually outperform non-EAL pupils in Mathematics and Modern Foreign Language. Importantly however, this summary obscures a different reality for many sub-groups of children with EAL. The way in which EAL is defined by England’s school system is uninformative. For example, EAL is defined as (highlights are mine): ““Where a child was exposed to the language during early development and continues to be exposed to this language in the home or in the community. If a child was exposed to more than one language (which may include English) during early development the language other than English should be recorded, irrespective of the child’s proficiency in English” (DCSF, 2006). What this means then is that a child is tagged as EAL if they have been born and raised in England and speak English as (one of) their native language(s). But so too is a child recently arrived from another country and who barely speaks a word of English. Other factors including socioeconomic status, ethnicity, and pupil mobility are actually more predictive of whether and to what extent a child with ‘EAL’ will be likely to match the academic performance of native-speaking peers. What does the research say about EAL reading performance relative to native-speaking peers? Our recent systematic review (Murphy & Unthiah, 2015) highlights that most of the work examining reading skills of pupils with EAL has been done in the USA, with comparatively little research in England and the UK. And unfortunately, there are few educational intervention studies to help guide teachers in their practice. Our review also shows that despite the strengths in single word reading skills that I’ve already mentioned, a number of studies have identified that children with EAL tend to lag behind native-speaking peers in terms of reading comprehension. This could be one of the explanations for their comparatively weaker academic performance that were revealed in the analyses I referred to earlier. We know that vocabulary knowledge underpins reading comprehension skill (Nation & Snowling, 2004) and we also know that overall (though generalisations can be dangerous!) children with EAL tend to have smaller vocabulary sizes than non-EAL peers (Bialystok, Luk, Peets & Yang, 2010). What this means in practical terms is that we need to spend more time in school-based contexts supporting the vocabulary knowledge of children, and children with EAL in particular, to help support their reading comprehension skills. Intervention studies which have focused on this kind of support have largely been successful. Of course, this also begs the question as to what vocabulary knowledge actually is. This is something we’re focusing on in the R.E.A.L. research group. Our research is revealing that we should have a wider view of what a word is, including multiword phrases such as collocations and figurative language more generally (e.g., Smith & Murphy, 2015). In summary, learning to read for children with EAL is in many ways no different than children with non-EAL – the sounds of the language have to be mapped on to orthographic patterns, and well-developed vocabulary knowledge is needed to support the development of reading comprehension. Many EAL children, however, have less well developed vocabulary knowledge which can result in lags in reading comprehension for some, which in turn can impact negatively on academic performance. Helping support and develop children’s vocabulary knowledge can have a measureable impact on improving reading comprehension and this in turn can boost academic achievement. We live in a multilingual world, and being able to speak and read in more than one language is a great gift. I believe we need to encourage bilingualism in English schools and we can start by ensuring that those children who are ‘emergent’ bilinguals get the best support in promoting their language and literacy skills in their languages. Thank you Victoria for this thoughtful blog. For more information, Victoria’s new book, Early Childhood Education in English for Speakers of Other Languages, co-editied with Maria Evangelou, can be downloaded for free from here. Her systematic review on intervention research in children with EAL can be downloaded for free from here. Bialystok, E., Luk, G., Peets, K.F. & Yang, S. (2010). Receptive vocabulary differences in monolingual and bilingual children. Bilingualism: Language & Cognition, 13(4), 525-531. Murphy, V.A. & Unthiah, A. (2015). A systematic review of intervention research examining English language and literacy development in children with English as an Additional Language (EAL). London: Education Endowment Foundation. Smith, S.A. & Murphy, V.A. (2015). Measuring productive elements of multi-word phrase vocabulary knowledge among children with English as an additional or only language. Reading and Writing, 28, 347-369.